Today, September 18th is one of the most important days in Scottish history. The people will have a chance to decide whether or not they want to continue being part of the United KIngdom, run from London, or completely separate as sovereign nation. Most Americans think that Scotland achieved its independence in 1996 due to Mel Gibson’s revisionist history epic known as Braveheart (Hey, I love it!). Scotland originally won their independence in 1314 after winning the battle of Bannockburn. Then came Mary Queen of Scots and it got very confusing for 150 years until Scotland and England rejoined in 1707 to form what now know today as the United Kingdom. There are some fascinating books on Scottish history that can explain more and I encourage you to dig deeper. To most around the world, the Scottish vote will not mean much except to economists and a few people who appreciate Scotland for what it represents. As an American, I have always had a fascination with Scotland and its deep, majestic history. I visited and lived in Scotland three separate times. I first visited in 1999 as a college student studying in the UK. 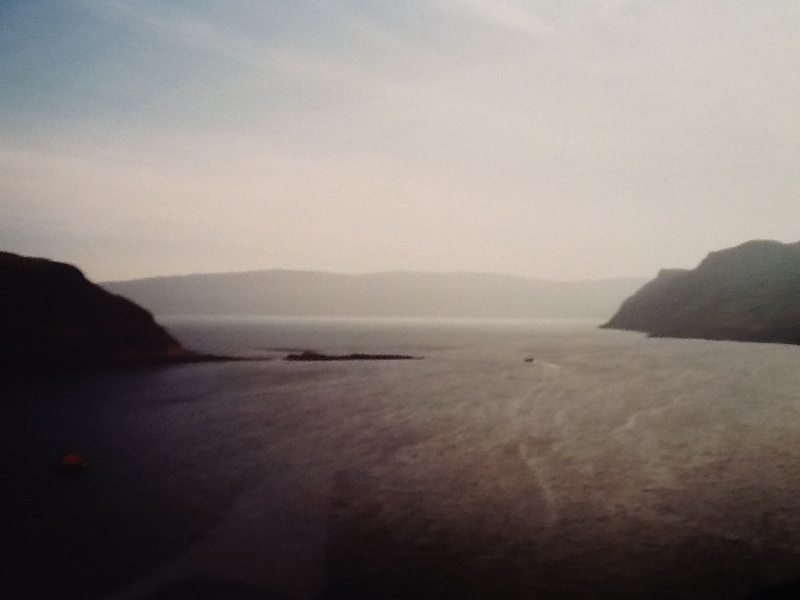 In 1999 at the borderlands of Scotland and England, my first visit there. 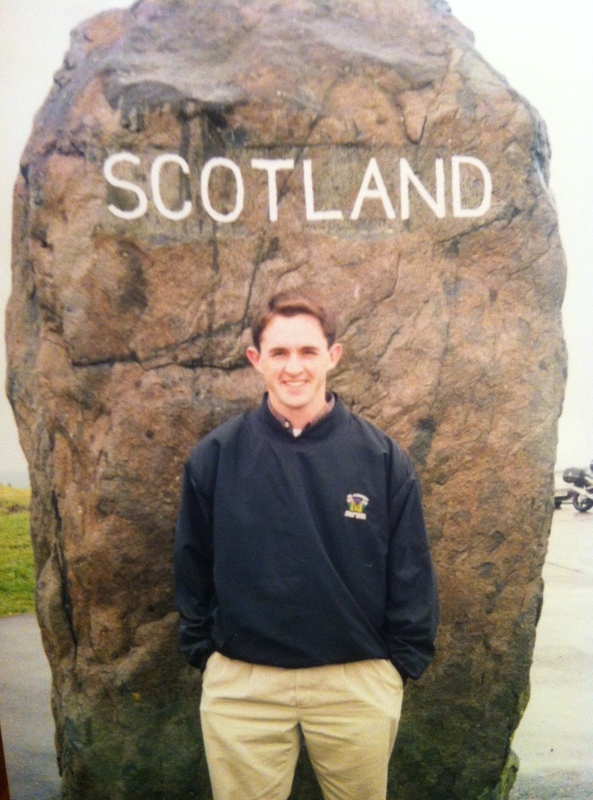 I fell in love with Scotland so much that I found a way to graduate early from college to then move there to live for my last semester in 2001. I ventured to Scotland without a job but with the hope to immerse myself in the culture enjoy the journey. What I found this time in Scotland was something I did not expect. 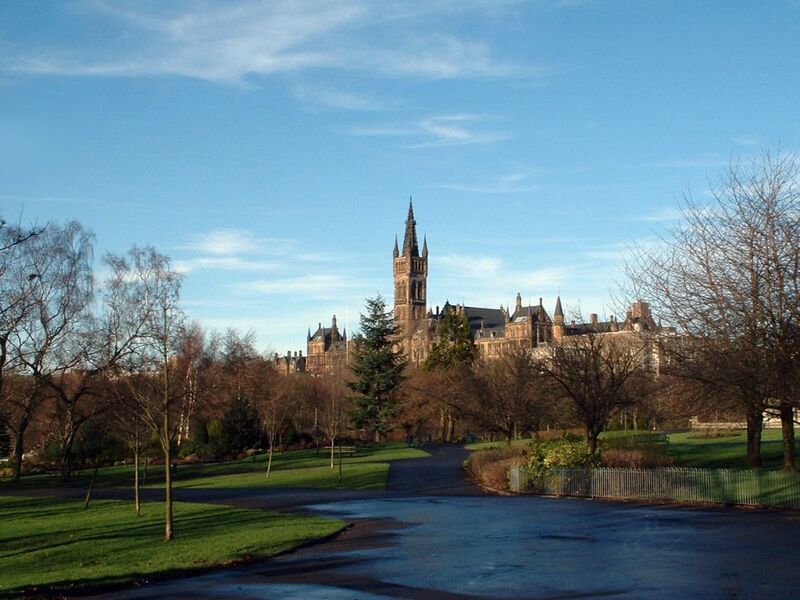 I worked two jobs in Glasgow; Glasgow University and a coffee shop in the evenings. 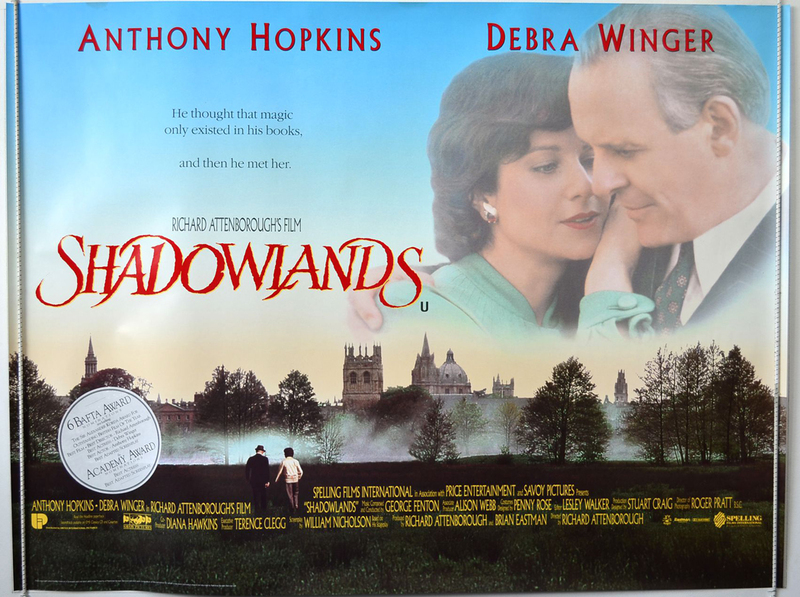 I met friends from around the world, traveled to the Highlands, toured the cities of Stirling and St. Andrews, joined a church, ventured frequently with a hiking group, and mostly listened to the people and their mesmerizing accents. It was pure majesty and I made it my home away from home. 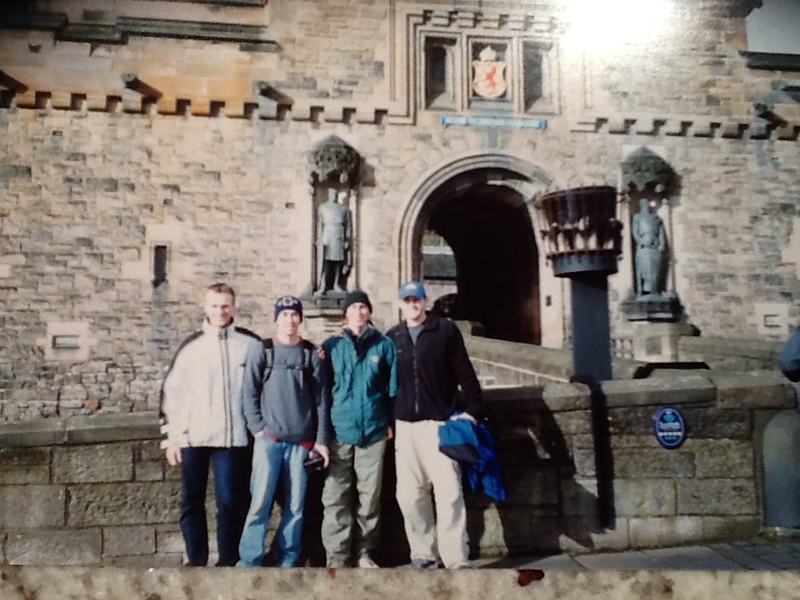 I even revisited in 2003 with some great friends from college, Adam Zuber and Steve Griffin, as well as a friend from Germany (Tobi Schneider), whom I met in Scotland when I lived there. It has been eleven years since I last visited and I miss like it is home. 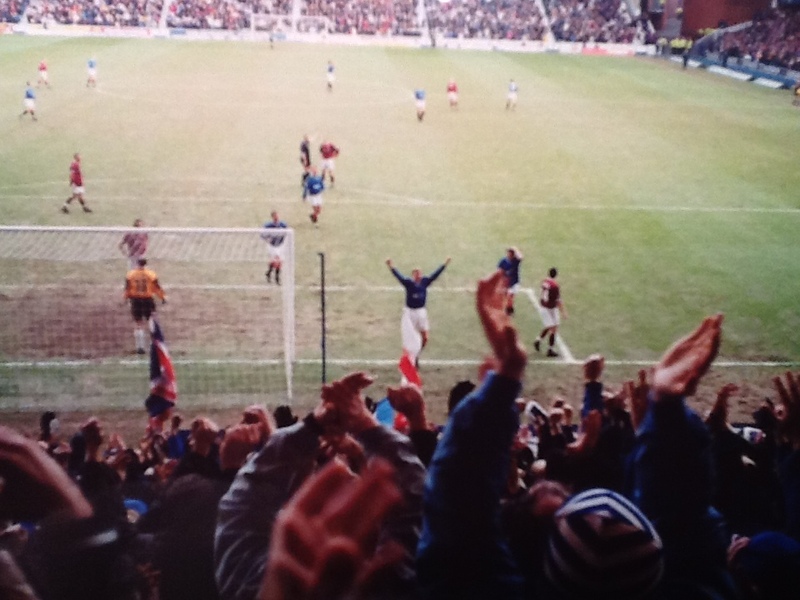 I love Scotland for many reasons and here are a few pieces of my journey to share that I hope you will enjoy. It is a beautiful country and no matter what happens with the people’s decision to be a part of the UK or not, it will always be my home across the pond. 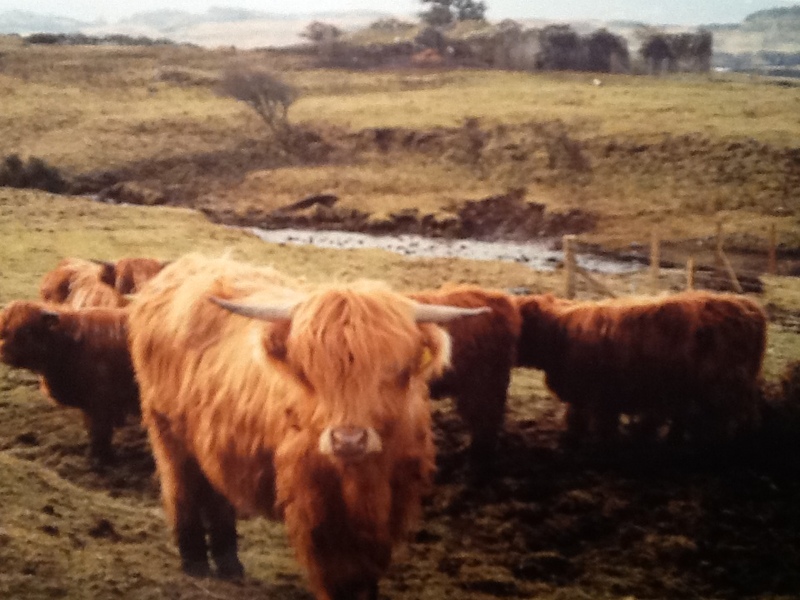 Here are a few pictures from my Scottish journey. 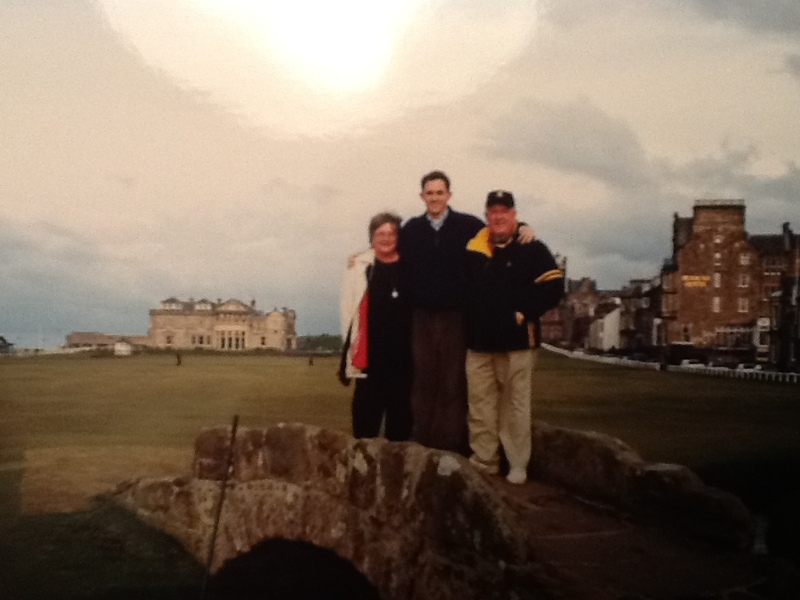 My parents visited me when I lived there in 2011 and we took a trip to St. Andrews. I even got to play The Old Course in 1999. Here we are on top of the historic Swilcan bridge. 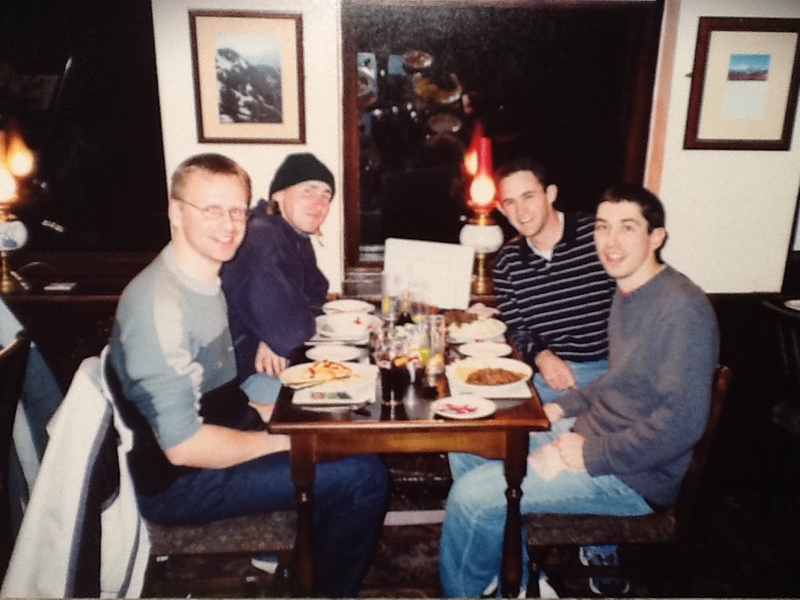 Our 2003 team eating haggis in the highlands. Mike Myers once said, “My theory is that all of Scottish cuisine is based on a dare.” Well, it’s probably true. 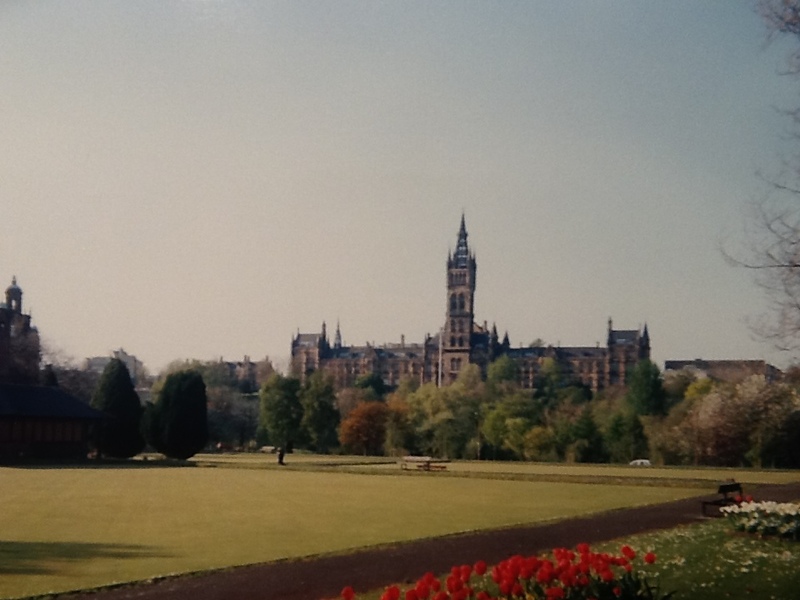 I was blessed to work at Glasgow University. This was my walk to work. 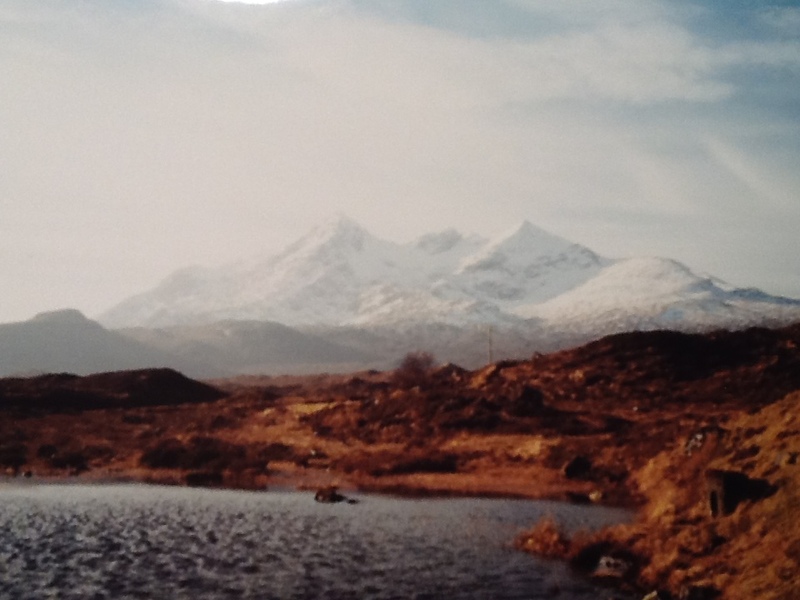 On the Isle of Skye, this was a glimpse of heaven. See for yourself. Well, that is a completely new post but no matter what happens, go support Scotland and explore the beautiful country. Just go.